While I was planning my trip to Brunei, finding information on public transportation was very difficult. 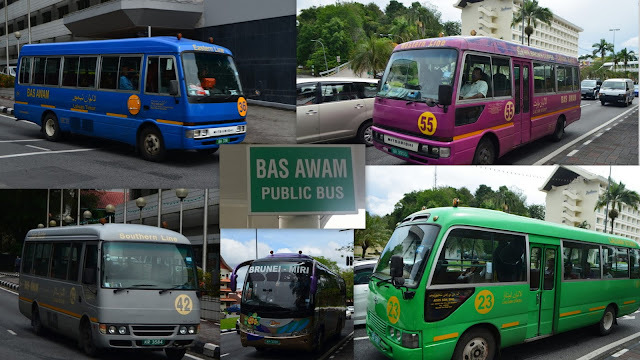 I figured out there are some bus services in Brunei, but couldn’t locate any official website, Google maps won’t show bus options and I had to rely on very limited information available in some private websites about availability of bus routes in Brunei. 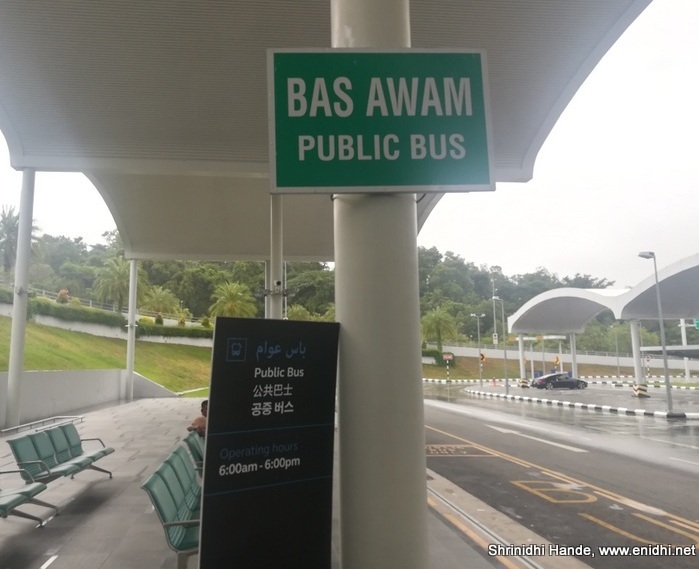 After my short trip to Brunei, I could get first hand experience about Brunei’s bus network and how to use them for commute within Brunei- particularly within the area between Brunei airport and Bandar Seri Bhegawan, the city centre so to speak, around which most key tourist attractions are located. There is No Metro, very few Taxis and a limited bus network. Unless you’ve adventurous to explore public transport or wish to save on money, most tourists prefer to avail transportation arranged by their hotels/hosts or tour operators for commute during their Brunei visit. Yes, Bus network is available in Brunei and you can indeed explore Brunei to a fair extent using buses and not having to spend a lot on Taxi. Buses seem to operate between 6 AM and 6 PM ONLY, so late evening outing means you might have to walk back to hotel or spend on taxi. Wikipedia says Bus No 1 and 20 operate late into night. There is no published time table. Plan up to 30 minutes to get a bus of your preference. Bus fare is 1 Brunei Dollar irrespective of where you get down. You pay in cash to driver and get a ticket. Taxis are not easy to spot. Doesn’t look like you can hail them off the road like you would do on various cities around the world. Except in Airport, some very popular hotels etc, finding a taxi is tough- you will need phone numbers to call n book, or book on app. Outside we saw a board that said Buses. Also a sign indicating buses ply between 6 AM and 6 PM only. There was no sign of any time table or what all destinations we can reach or when is the next bus and so on. We waited for 10 minutes, as there was no sign of a bus, we started walking. As I had known about this bus problem is Brunei, I had selected hotel within few kms from airport, so that I can simply walk if required. Spoke to few people around and no one had any clue about bus availability and timing. After some 10-15 minutes of waiting, we started walking- as it was about 5.15-5.20 in the evening and display said last bus is till 6 PM only. As we walked towards the main road, we saw a bus arriving. It took the upper ramp to go to departures. Which I thought is fair- it would drop passengers at departures and then would come to ground floor to pick up arrival passengers. Few more minutes, drive came down the ramp and advised us to wait near the Bus board using hand symbols. We walked back and waited for another 10 minutes and there was no sign of this bus. Disappointed, we decided to resume walking again. This time once we reached main road we saw 2 more buses entering airport area- couldn’t figure out if they are government buses or private tour buses and if it would be worth going back n waiting. That evening was walked a few kms around the hotel to visit Times Square Mall and nearby- didn’t see a single bus or taxi. Next day we went to a bus stop near our hotel and a bus came in promptly. I had no idea where exactly it was headed, but had a sense that all buses would go to city centre in Bandar Seri Begawan. We got in, said ‘Bandar” when asked where to- It was the city centre and if we get anywhere close, we could walk the last few kms if needed to visit the famous mosque, Brunei river and other attractions. The bus took us to a spot 750 meters from the popular Omar Ali Saiffuddien Mosque, where we decided to get down, as I wasn’t sure if it will go further closer to the mosque or away from it. 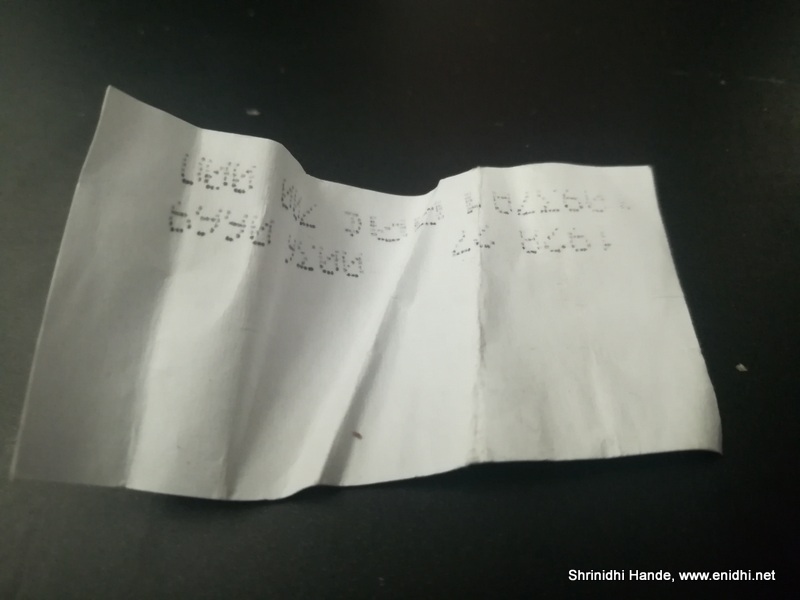 Bus Ticket is a tiny piece of paper- just this! I couldn't make much sense of it- probably the worst bus ticket in the world I have seen. Brunei is a small country, rich with oil and not really dependent on tourism like its neighbors Indonesia, Malaysia or Thailand. Thus they don’t have a need to provide more n more tourist friendly facilities. Most residents are well off with their own cars, so need for public transport is very minimum. 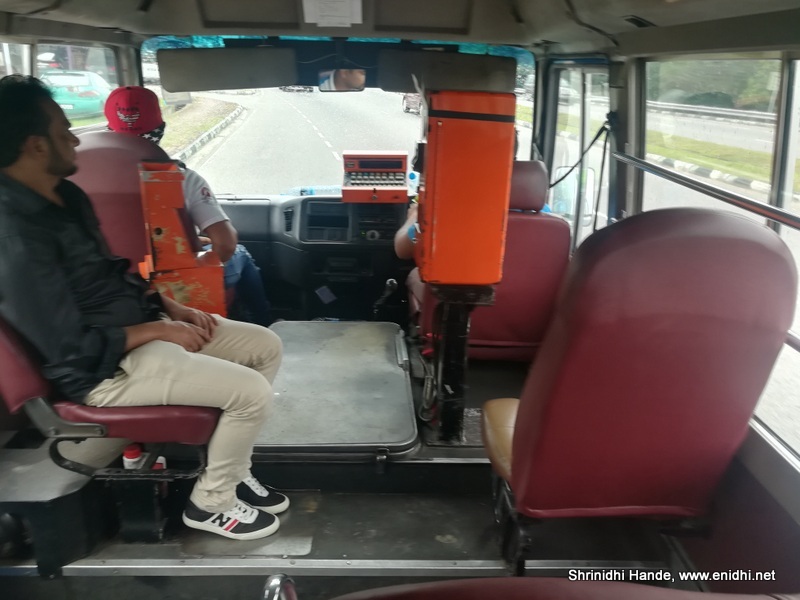 The buses we traveled was never overcrowded, despite peak hours and even roads were all empty- for 9 kms Google map showed an estimate of 13 minutes- nearly impossible in any capital city during peak hours. Only Eastern, Northern and Central lines go to Brunei International Airport. All lines pass through BSB or Bandar Seri Begawan, where there's a bus depot. If not anywhere else, you can reach here and then change the bus. 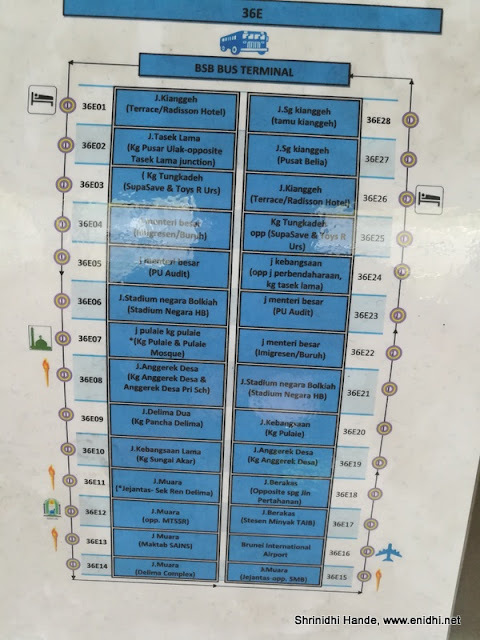 This website has a map of Brunei's city bus network, though not very readable. There're bus numbers also, I guess depending on number there will be a minor variation in the route taken. Residents will find it useful as they can board a particular bus number that would go interior closest to their homes. If you're visiting only main spots and not particular about specific route taken then I think you can ignore the numbers and just board based on the line. Couldn't locate any official website listing all bus routes, numbers etc. Brunei's transport ministry website doesn't list bus routes and number details. If you prefer convenience over cost, you can book your stay with some host who will be willing to take you around or can recommend/arrange tours and transportation for you. Car rentals are available for about 60 BND onwards per day, assuming you’re eligible to legally drive in Brunei. Might be better option. Similar: Public transportation around the world. Excellent info.Only you can do it. Wow!!! I appreciate your blog. Thank you so much. It will help my expectation on our Brunei trip on feb 13..I have question, how about sim card or money changer there have you seen it?